Measurements: One size, 1411 mm (940 mm), depth 400 mm, height 450 mm, outer-/inner diameter 2400 mm/1600 mm. Angle 72° (i.e. 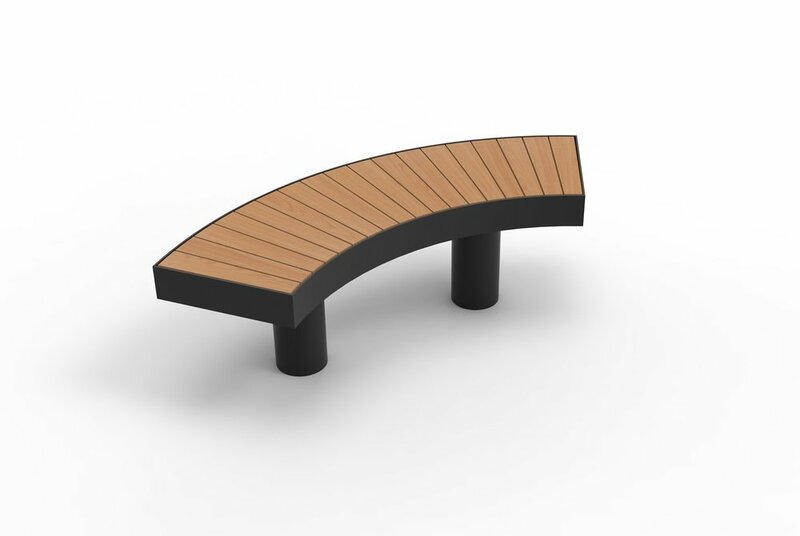 5 benches to create a closed circle).